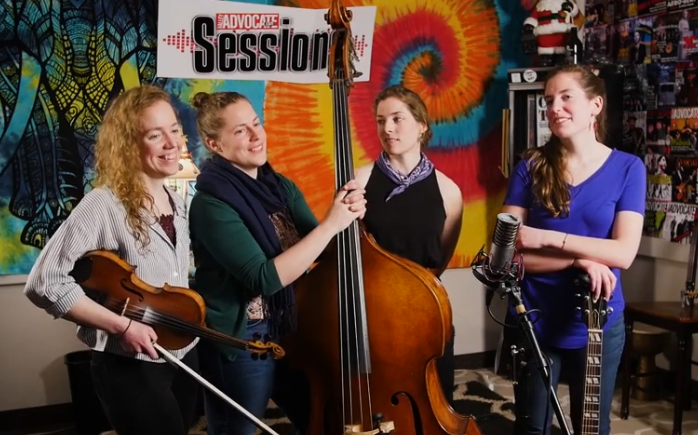 The Green Sisters perform on the Valley Advocate Sessions in Northampton, MA, followed by a brief interview. "The Green Sisters’ Endless Blue is Familial Gem" - album review by freelance writer and journalist Michael Cimaomo. George Lenker reviews the Green Sisters in The Republican for their upcoming show with Trailer Park at Luthier's Co-op in Northampton, MA. “‘Endless Blue’ is produced by Tom Manhken (Trailer Park, Young @ Heart Chorus) and not only showcases the sisters’ impeccable harmonies, but the group’s ability to work in a variety of genres including Celtic, old timey, folk and bluegrass.” - album review by Sheryl Hunter in the Greenfield Recorder. Short blurb about a local upcoming show & new album. 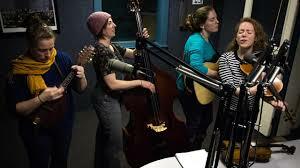 The Green Sisters appear on WKXL Granite State of Mind, hosted by Rob Azevedo in Concord, NH.